You can get free gifts for Crossy Road when you wait for the gift timer to expire. Once you got the gift, your next free gift will increase it's timer. Luckily you can skip the timer by following this simple steps! Close your Crossy Road app by either restarting your phone or by killing it on your task manager. Open Crossy Road app and you will get your daily rewards. Open Crossy Road app but do not play a single game. 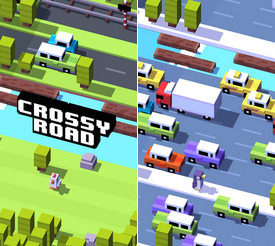 Open Crossy Road app just to make sure that there is no problem. Fortunately you can do it manually! To do it manually, just use search function in your hex editor app, enter your current Coins value in Crossy Road and search for it (choose DWORD) . If you see a large list of results, you need to change the value of current Coins value in Crossy Road by either consuming them or adding them. Go back to the list and find your new current Coins value in Crossy Road to the large list and finally you can edit the value.